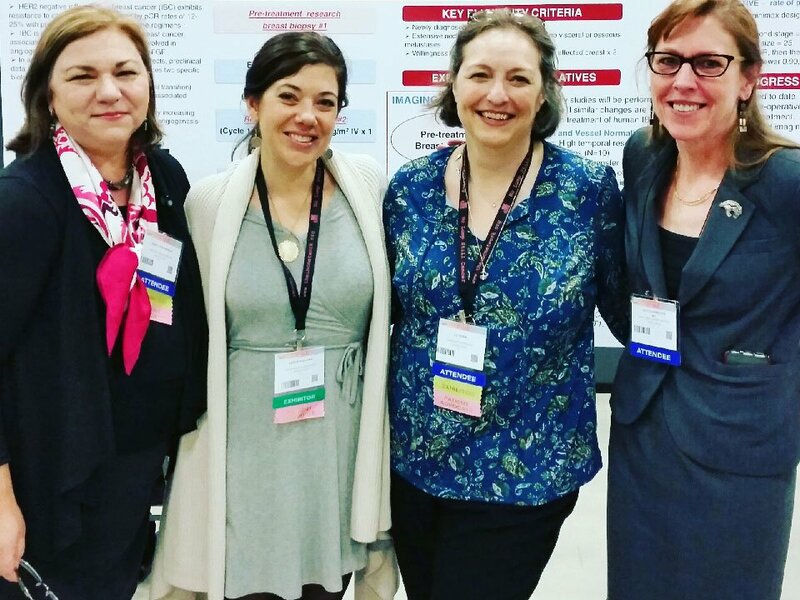 In December 2016, we were excited to be able to attend the 39th annual SABCS conference, now held the first full week of December, which brings together the world’s best and brightest breast cancer researchers and clinicians, to share advances in biological research and clinical care. It is an information-packed week of talks, poster sessions, meetings and, for the first time in our history, a table in the exhibitors area. We were delighted that 2 of our volunteers, Liz Tobin and Leslie Sullivan (pictured below) were able to staff the table for much of the time. Our goals for the table were to share information on IBC diagnosis, treatment and survivorship as well as highlight our solid resources they would find useful (including the app), since IBC gets little coverage in the main sessions. 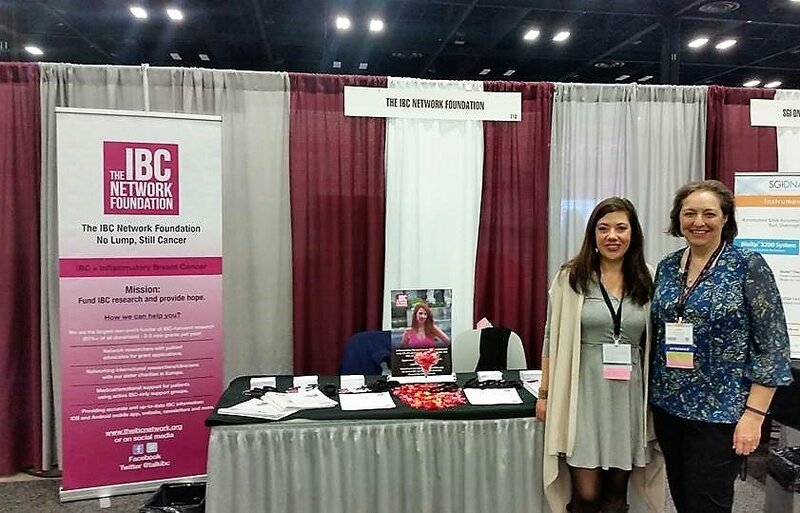 Leslie and Liz manning the 2016 SABCS booth for the IBC Network Foundation. We wanted to share the feedback we had from our two volunteers who attended to man our booth. Not only did the ladies get to work the booth, they not to spend time talking to Dr. Beth Overmeyor and thank her for her passion for IBC research. Dr. Overmeyor as been recently funded by the IBC Network.